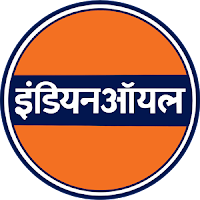 Indian Oil Corporation Limited the largest commercial undertaking in India and a Fortune "Global 500" company requires result oriented experienced personnel with initiative and enterprise for its Refinery at Bongaigaon (Assam). On-line Applications are invited from bright, young and energetic persons of Indian Nationality for the following posts in the pay scale of Rs.11,900-32,000/-. Age Limit : Maximum 26 Yrs as on 28.02.2018 (Relaxable by 5 years for SC/ST and 3 years for OBC candidates for reserved posts). PwBD candidates will be allowed age-relaxation upto 10 years (upto 15 years for SC/ST and upto 13 years for OBC candidates), if considered against reserved positions. Relaxation to Ex-servicemen will be allowed as per Govt. Guidelines. 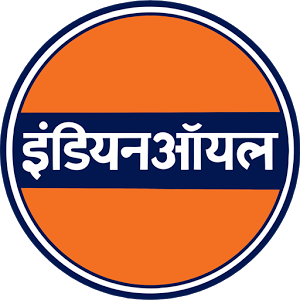 Educational Qualification: For qualification, post qualification experience and other details, may visit the website of IOCL- www.iocl.com. 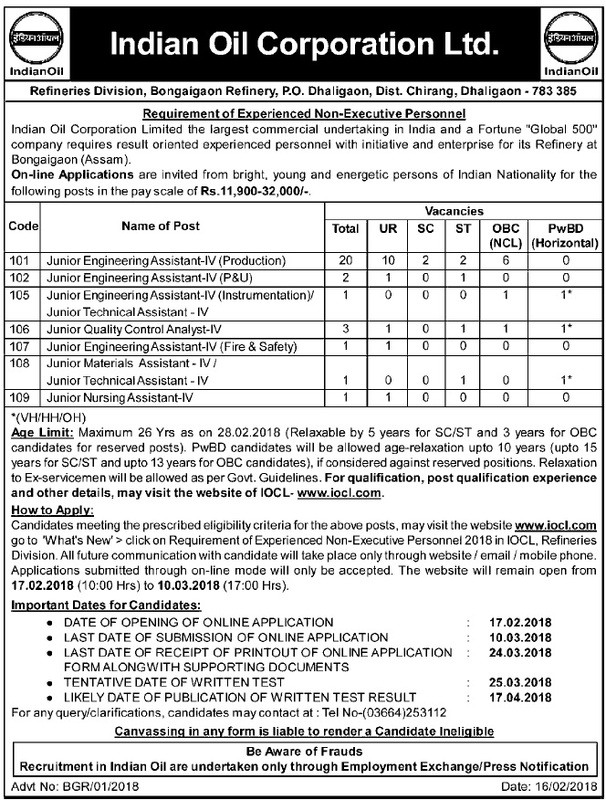 How to Apply: Candidates meeting the prescribed eligibility criteria for the above posts, may visit the website www.iocl.com go to 'What's New' > click on Requirement of Experienced Non-Executive Personnel 2018 in IOCL, Refineries Division. All future communication with candidate will take place only through website / email / mobile phone. Applications submitted through on-line mode will only be accepted. The website will remain open from 17.02.2018 (10:00 Hrs) to 10.03.2018(17:00 Hrs). For any query/clarifications, candidates may contact at : Tel No-(03664)253112.